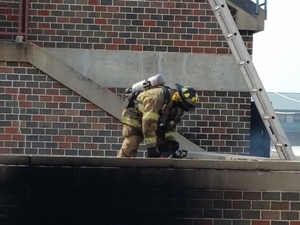 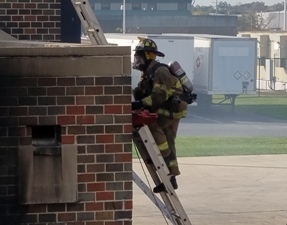 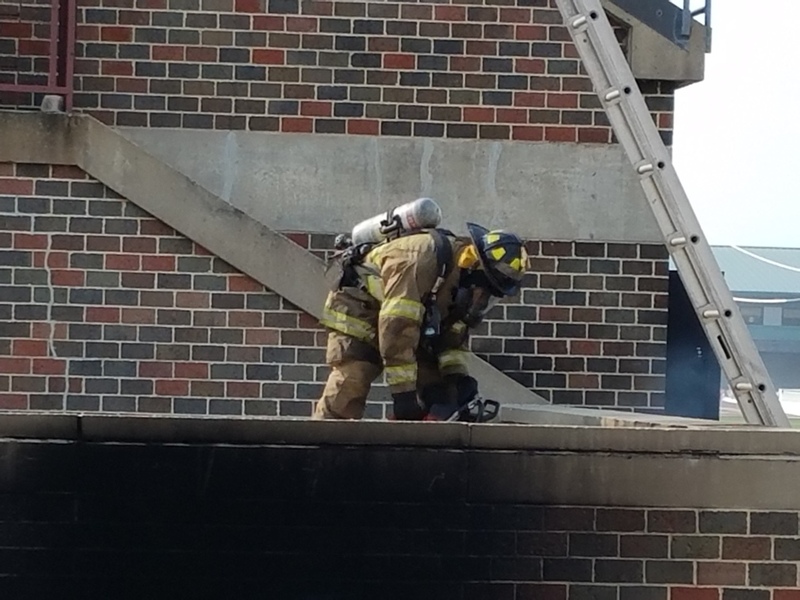 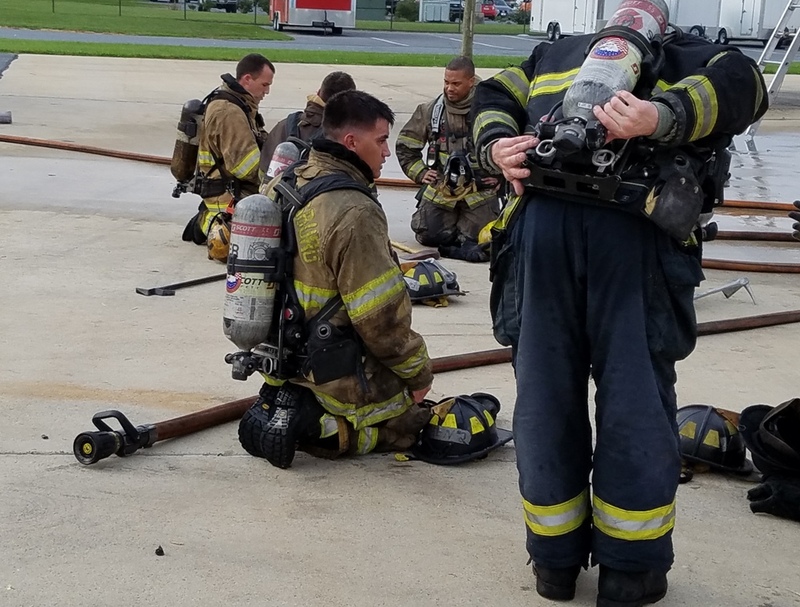 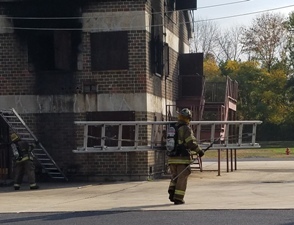 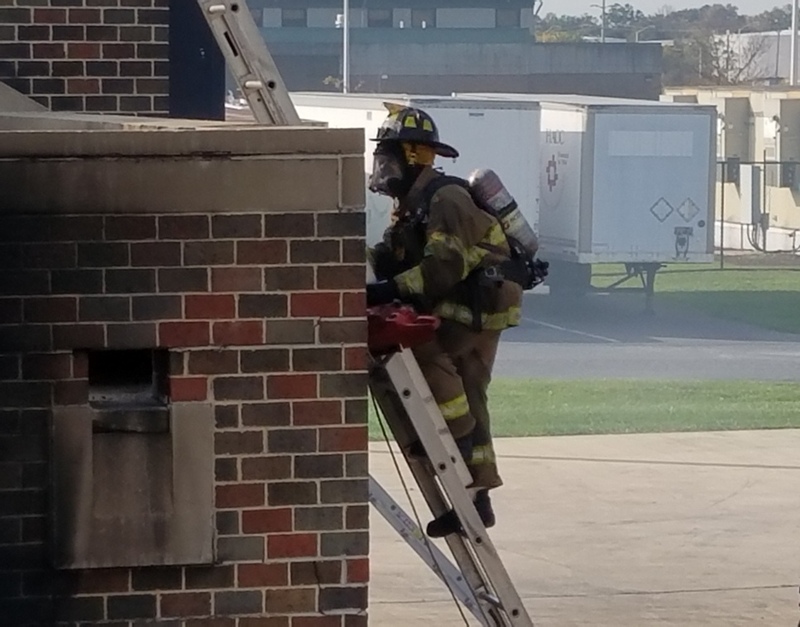 Today CFD Firefighter Chen participated in numerous fire operation exercises. 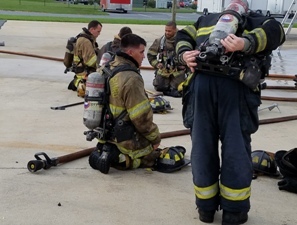 FF Chen takes a breather after extinguishing a basement fire, climbs a ladder with a saw to vertically vent the building while the hose crews attack the fire, cuts the roof with a saw during combined fire operations, and carries a ladder to the building to place for rescue. 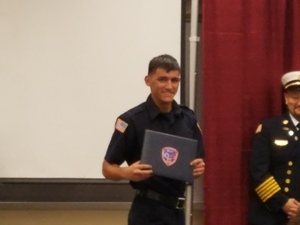 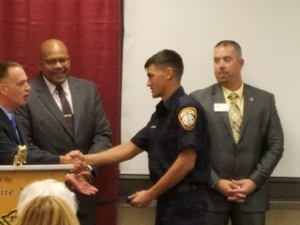 FF Chen and his four classmates graduated Saturday, October 22, 2016 at 5:00 p.m. in the Shumaker Public Safety Building on the HACC campus.